This unique one-bedroom suite offers approximately 1380 square feet of living space across one floor. 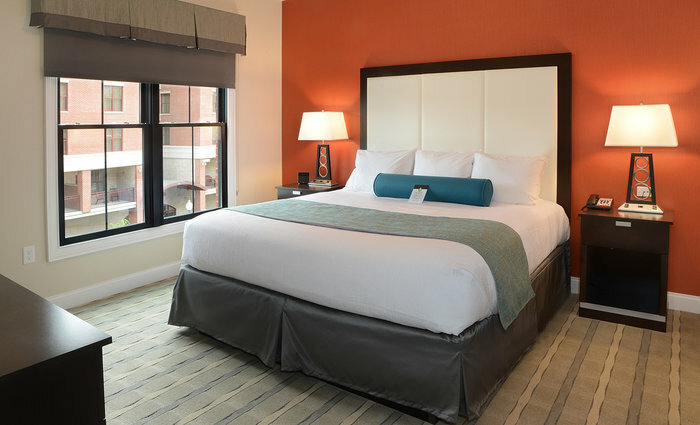 Drift off to sleep in the Executive Boardroom-style suites large king-sized bed with a master en-suite with dual sinks and a walk-in closet. 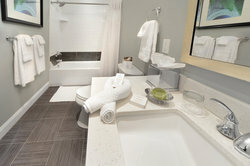 Perfect for hosting meetings and dinners, the Executive Suite has an additional half bath for guests. 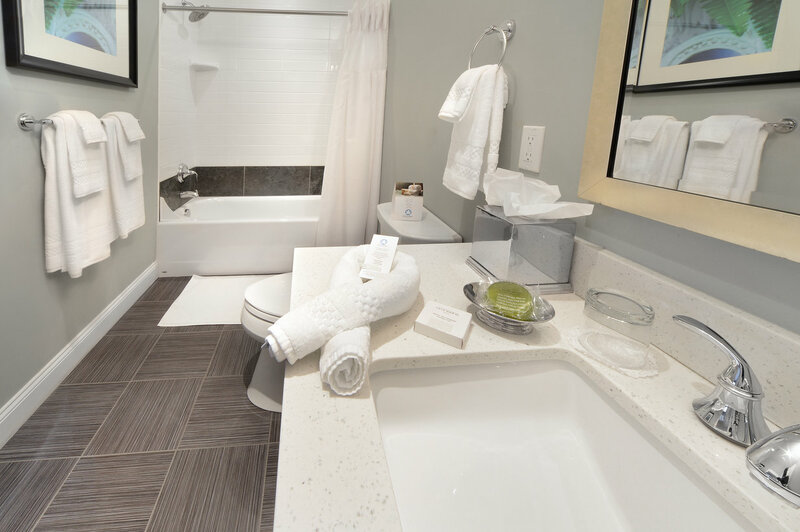 The suite is equipped with a full kitchen with farm-style sinks, side by side refrigerator/freezer, solid surface countertops, stainless steel appliances, a washer and dryer, and soaring nine-foot ceilings with crown molding. 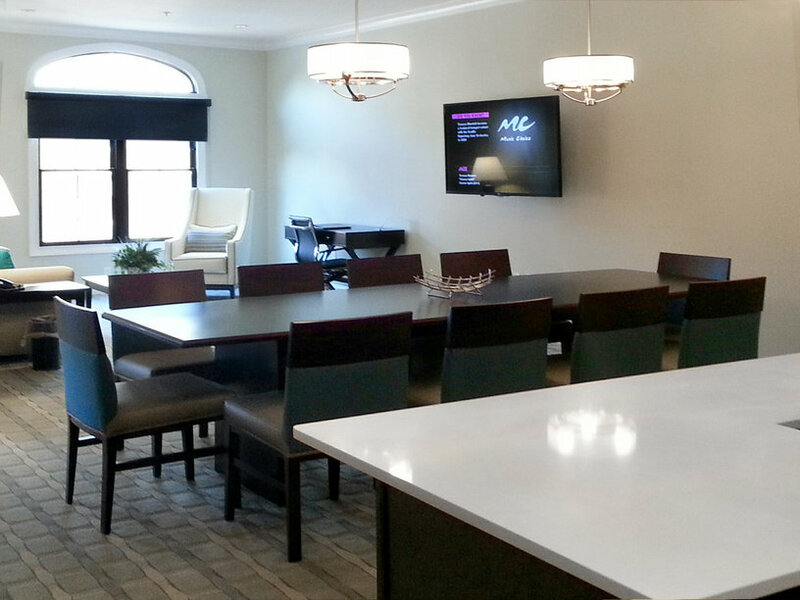 This room is a unique meeting suite with private Wi-Fi and Polycom Conference Call capabilities for wireless presentations and off-site meetings.The meeting and entertaining space can be completely closed off from the bedroom area for added privacy. The large, in-room boardroom-style table is perfect for formal board meetings and events of ten to twelve people, or the space can be used for social gatherings to host family and friends. 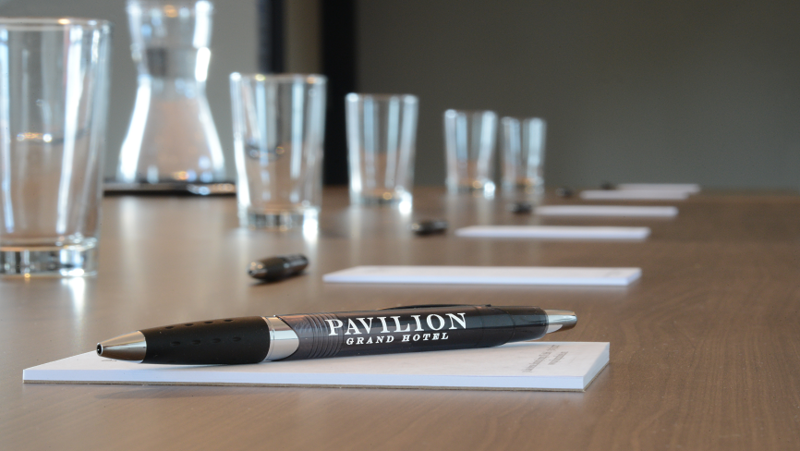 The Executive Suite offers the flexibility of formal meeting space right in your hotel room, with all the modern elegance and design you can expect at the Pavilion Grand Hotel.